﻿ Rafale case: Will first decide on Centre's preliminary objections, says SC. Rafale case: Will first decide on Centre's preliminary objections, says SC. 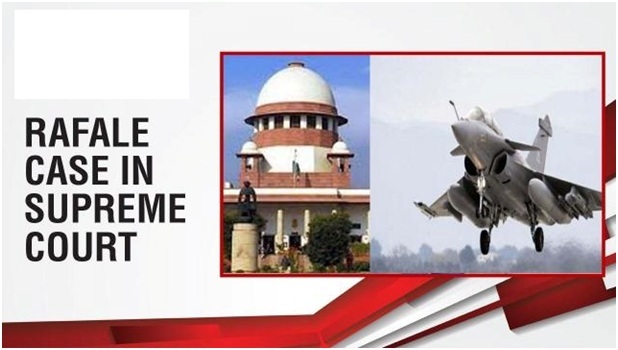 The Supreme Court made it clear on Thursday that it will decide first on the preliminary objections raised by the Centre and then go into the facts of the Rafale fighter jet deal case. A bench headed by Chief Justice Ranjan Gogoi asked the petitioners seeking review of its order to focus on the preliminary objections regarding admissibility of the leaked documents. "Only after we decide the preliminary objection raised by the Centre, we will go into the facts of the case," said the bench, also comprising Justices S K Kaul and K M Joseph. At the outset, Attorney General K K Venugopal, appearing for the Centre, claimed privilege over documents pertaining to the Rafale fighter jet deal with France and told the Supreme Court that no one can produce them in the court without the permission of the department concerned. Venugopal referred to section 123 of the Evidence Act and provisions of RTI Act to buttress his claim. He told the top court that no one can publish documents which relate to national security as the security of the State supercedes everything. Advocate Prashant Bhushan, one of the petitioners seeking review, opposed the submission and said that the Rafale deal documents, which AG says are privileged, have been published and are already in public domain. Bhushan said that provisions of RTI Act say public interest outweighs other things and no privilege can be claimed except for documents which pertain to intelligence agencies. There is no government-to-government contract in purchasing Rafale jets as there is no sovereign guarantee extended to India by France in the Rs 58,000 crore deal, Bhushan said.